Do you recognize this craft? 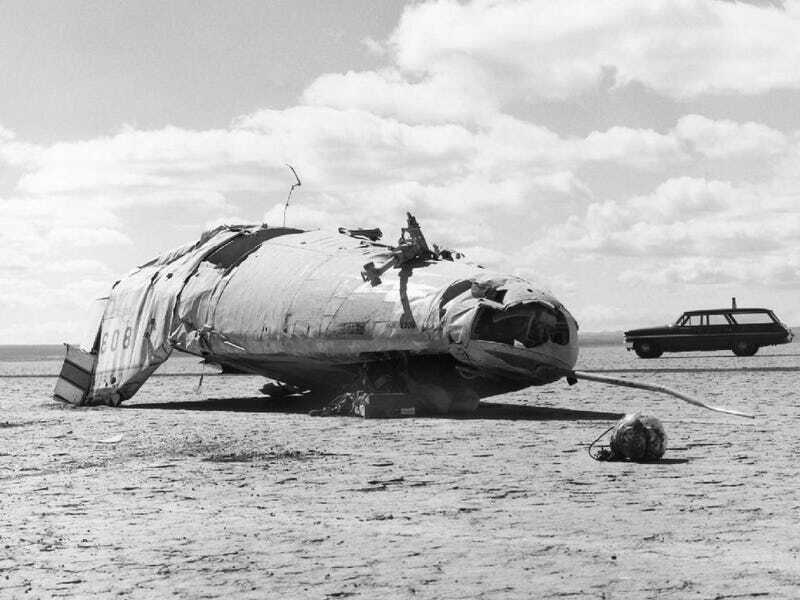 On 10 May 1967 the M2-F2 lifting body crashed at Edwards Air Force Base, rolling over six times and severely injuring NASA pilot Bruce Peterson. You might not have heard of the M2-F2 before but you've probably seen footage of the crash. Footage from the M2-F2 flight and crash were used in the opening credits of The Six Million Dollar Man. Bruce Peterson recovered from his injuries but lost sight in his right eye.